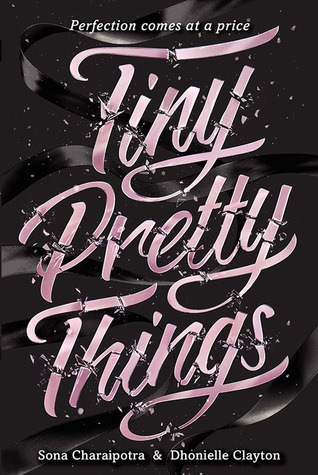 TINY PRETTY THINGS digs beneath the practiced poise of a cutthroat Manhattan ballet academy, where three young protagonists all fight for prima position while navigating secrets, lies, and the pressure that comes with being prodigies. Free-spirited new girl Giselle just wants to dance – but the very act might kill her. Upper East Side-bred Bette lives in the all-encompassing shadow of her ballet star sister, but the weight of family expectations brings out a dangerous edge in her. Perfectionist June forever stands in the wings as an understudy, but now she’s willing to do whatever it takes – even push someone out the way – to take the stage. In a world where every other dancer is both friend and foe, the girls have formed the tenuous bond that comes with being the best of the best. But when New York City Ballet Conservatory newbie Giselle is cast as the lead in The Nutcracker – opposite Bette’s longtime love Alec – the competition turns deadly.